Profile: The state-of-the art Science Building houses the planetarium and three academic departments -- physics, biological and environmental sciences, and chemistry. Faculty and students conduct experiments in modern laboratories designed to foster synergy between disciplines, an important consideration as 21st century innovation becomes ever-more cross-disciplinary. 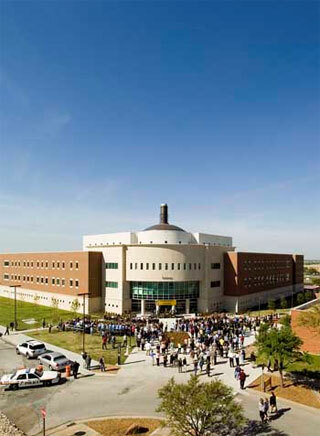 Services: DataCom assisted in the planning, design and contract administration for the new science building providing technology infrastructure design to support voice, data, video, and wireless communications. Also included was the design of outside plant for communications connectivity as well as communications for the new Planetarium.